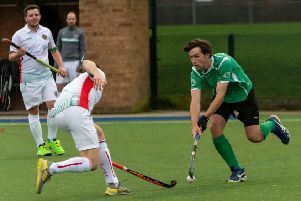 Coach Christian Battye was pleased with Chesterfield’s victorious return to the title trail in Division Three of the Midland Men’s Hockey League. In their first league fixture of 2019, Chesterfield resumed with a bang, hammering fourth-placed Coventry and North Warwick 5-0 to stay second in the table, three points behing leaders Telford and Wrekin. And Battye felt that “with better decision-making”, his side could have run in even more goals against the experienced visitors. “It was great to be back, and we did some good things,” he said. “In the first half, we lacked a little bit of nous and could have been three or four up before the break. But we still did OK.
“I was pleased with how we kept going for more goals. It helps to have players like Dan Molloy, who was in brilliant form, and Ollie Smith, who had a very good afternoon. Tasmanian recruit Smith marked his league debut with two of Chesterfield’s goals and a man-of-the-match display, while Molloy also bagged a brace and 16-year-old Joe Morton was on the scoresheet too. 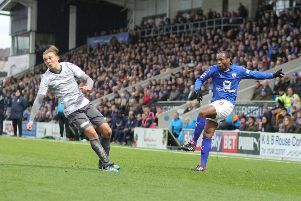 Molloy opened the scoring after being played in by skipper Josh Brocklehurst, and then Smith rifled home after a mix-up in the Coventry defence. A pulsating second period saw Chesterfield assert their dominance. Smith coolly lobbed number three, and after some smart work by stopper Will Murphy at the other end, Morton netted his sixth of the season and Molloy made it 11 goals in ten games.